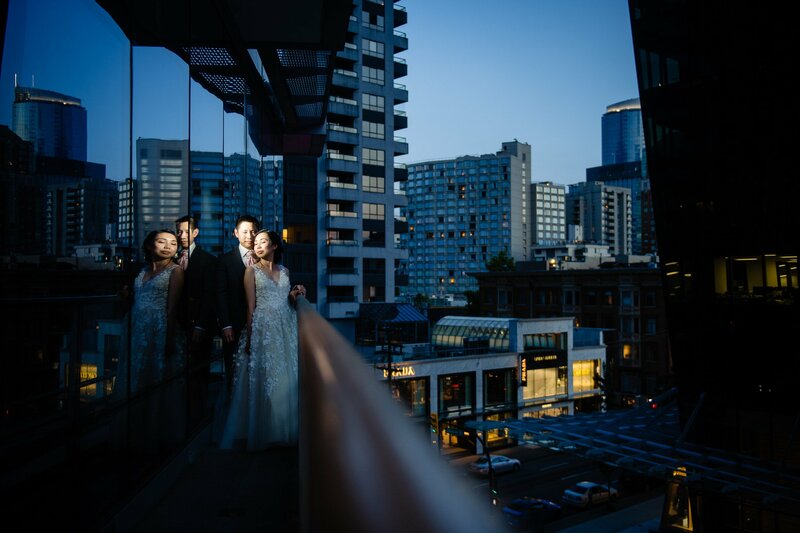 The Shangri-La is a luxurious hotel in downtown Vancouver, and the perfect wedding venue for Diani and Adrian. 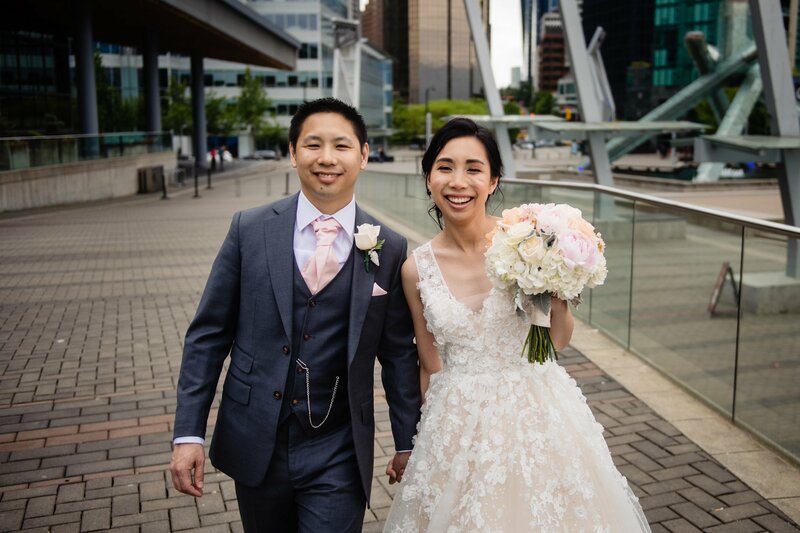 They have been in a long distance relationship for years with Adrian living in the UK, and Diani living in Vancouver, and now they are ready to put their long distance days behind them, get married and move in together! 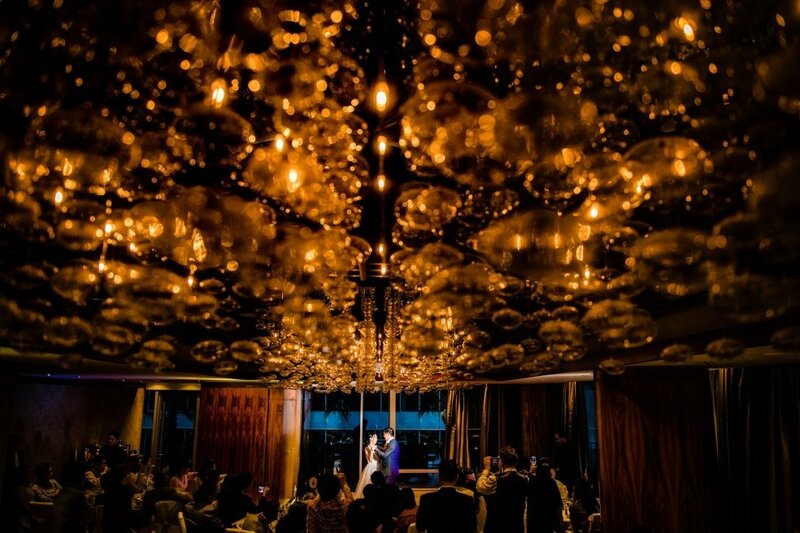 They ultimately decided to have their wedding in Vancouver, so they rented out an entire floor in the Shangri-La hotel to host their event! 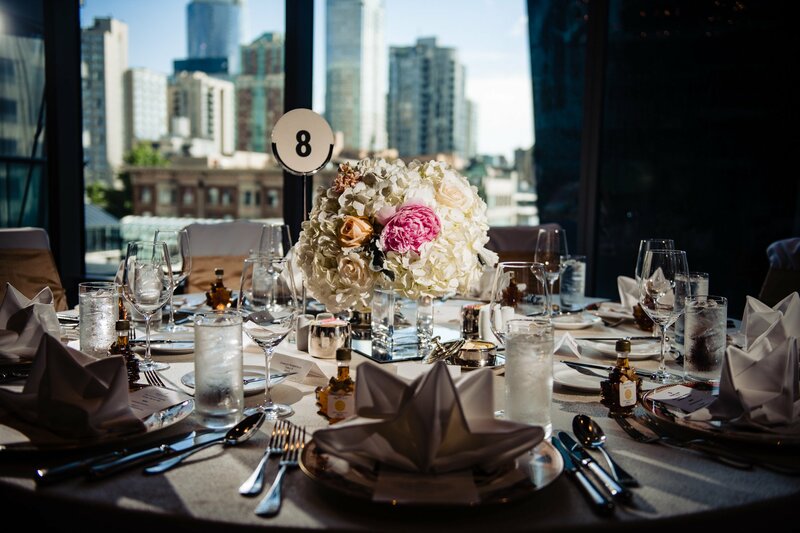 The ceremony was outdoors on a long, narrow terrace overlooking the Vancouver city streets, and the reception was in the ballroom of the hotel. 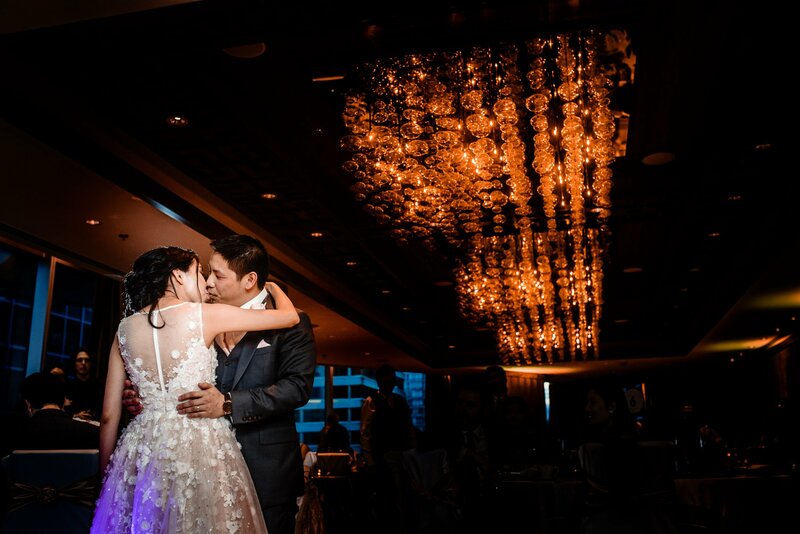 The reception had floor to ceiling windows which brought in a lot of nice, natural light, and there were these beautiful chandeliers (always our favourite) which we played around with in a lot photos during speeches and the first dance. 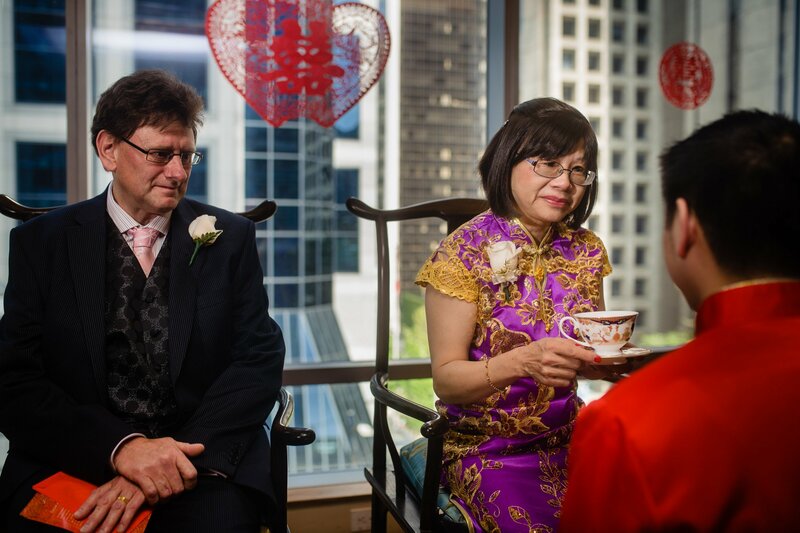 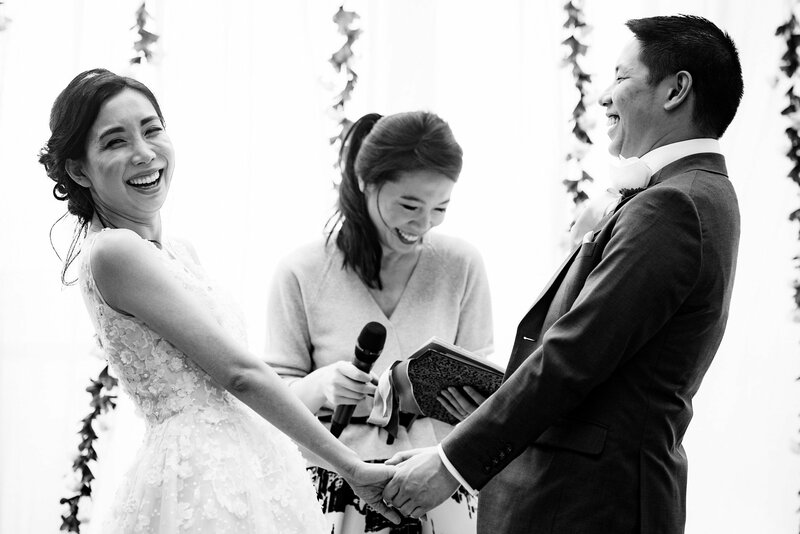 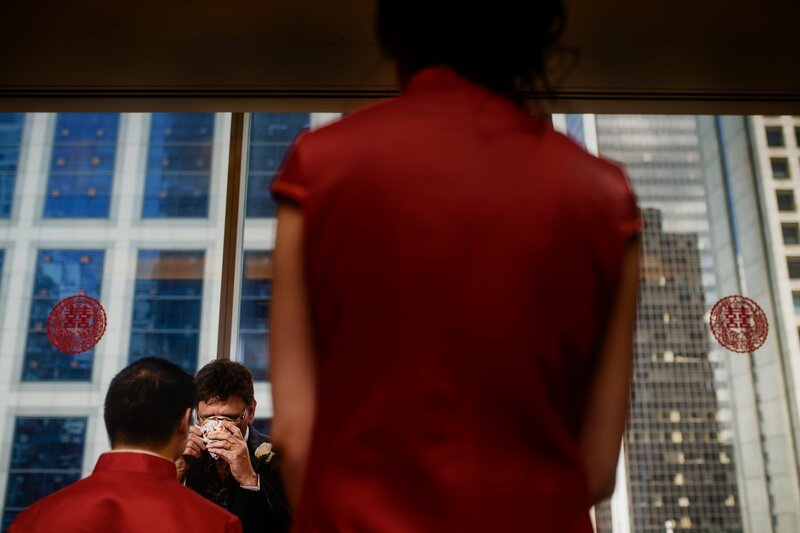 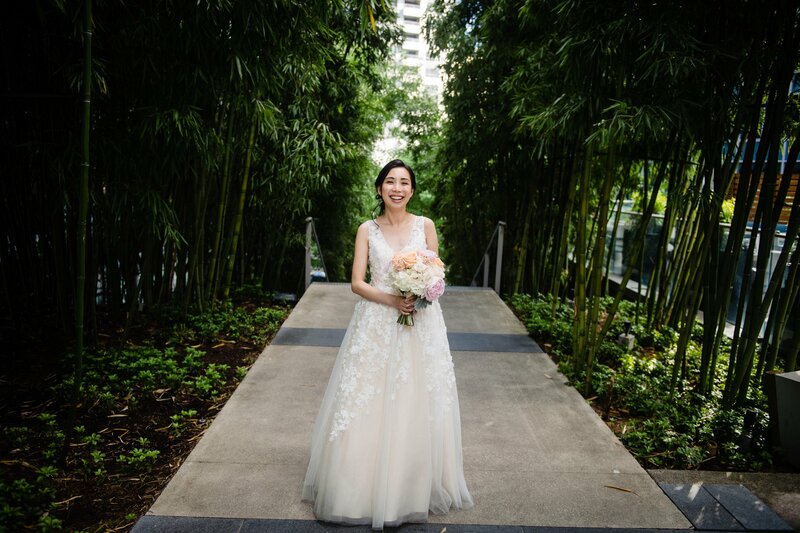 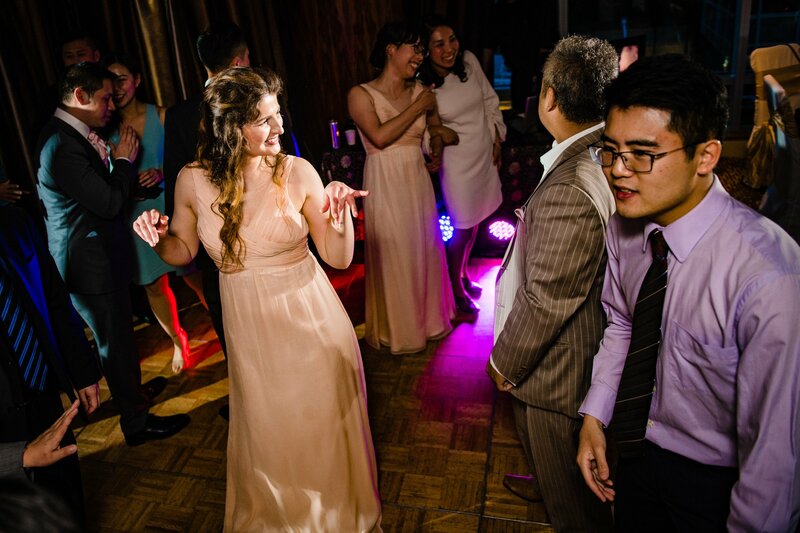 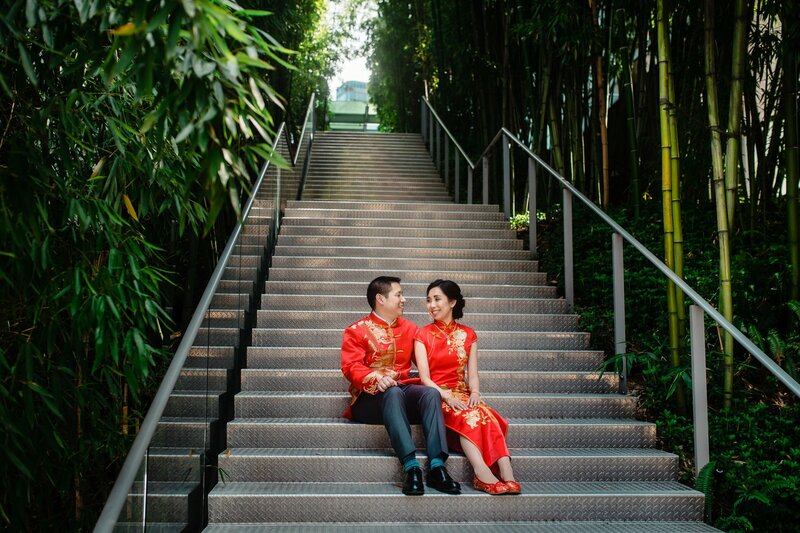 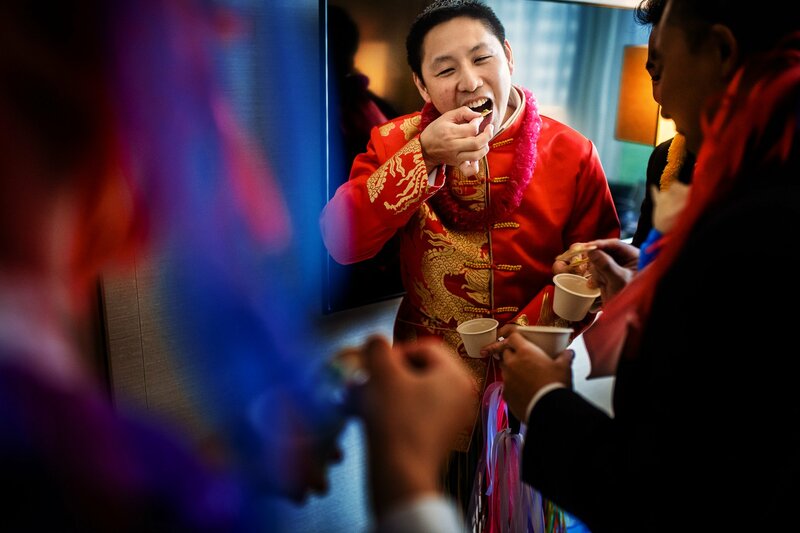 Diani and Adrian started off their wedding by including some traditional Chinese events into their wedding day, like Chinese door games and a tea ceremony. 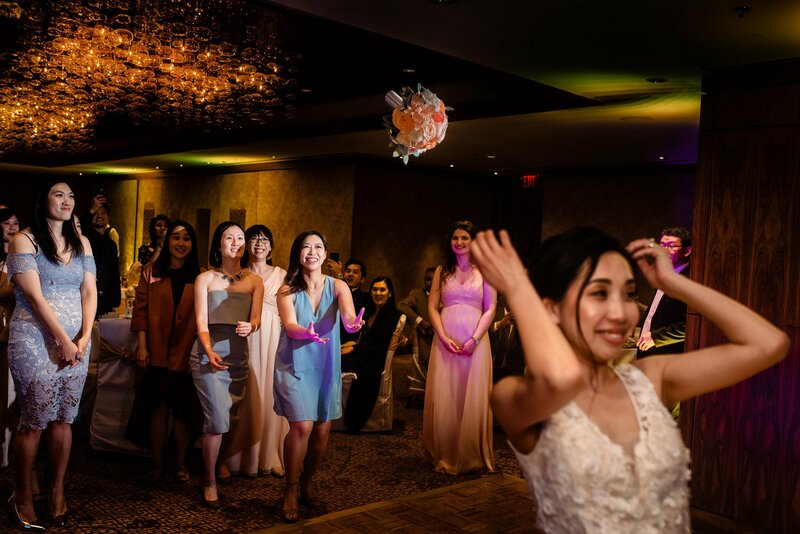 These are always a fun one for us because it’s often a time where you capture a lot of emotions with family members during the tea ceremony, and crazy, fun action shots with the door games. 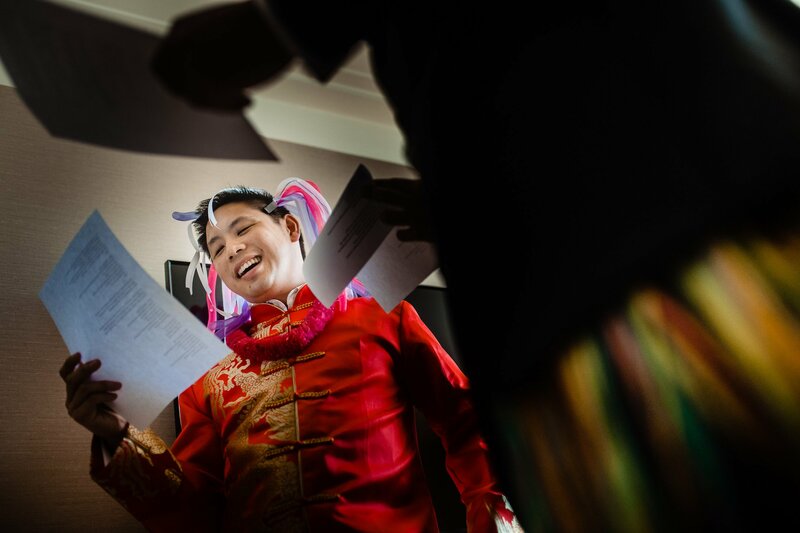 The bridesmaids had a lot of fun dressing up Adrian and his groomsmen in light up headbands and grass skirts, making them dance, eat terrible food and serenade Diani. 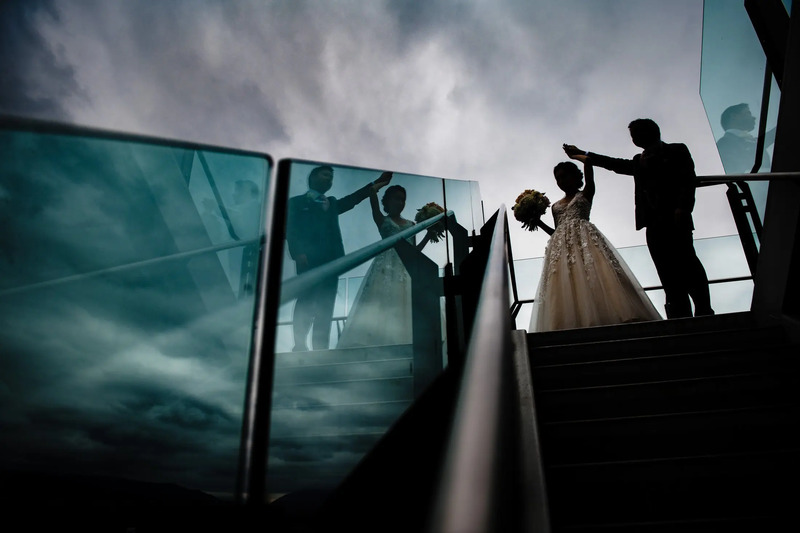 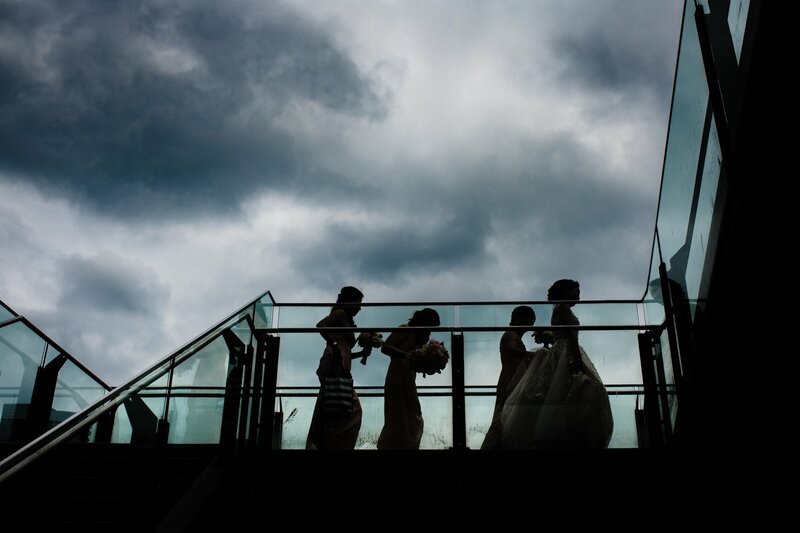 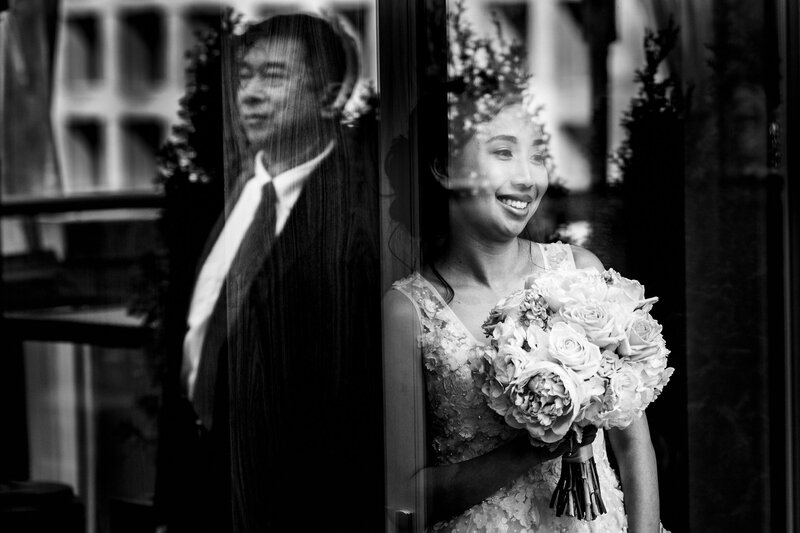 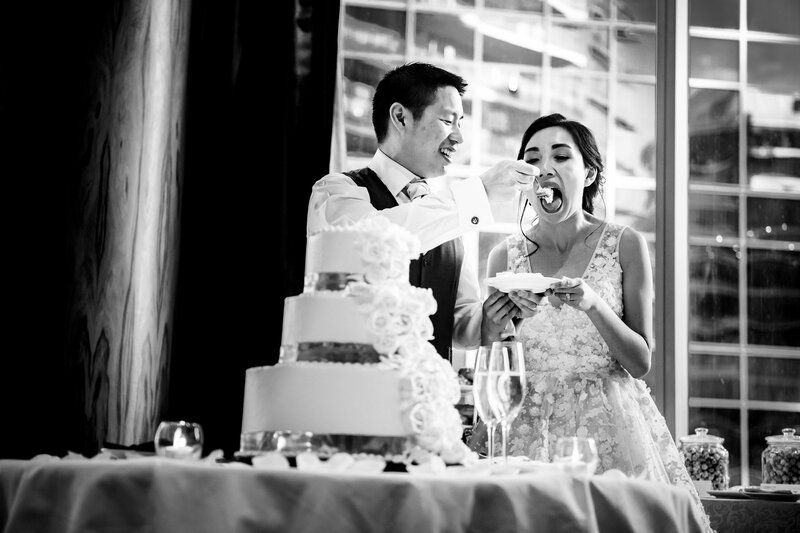 When it comes to city or urban wedding photos, Coal Harbour is a great location that offers a variety of features. 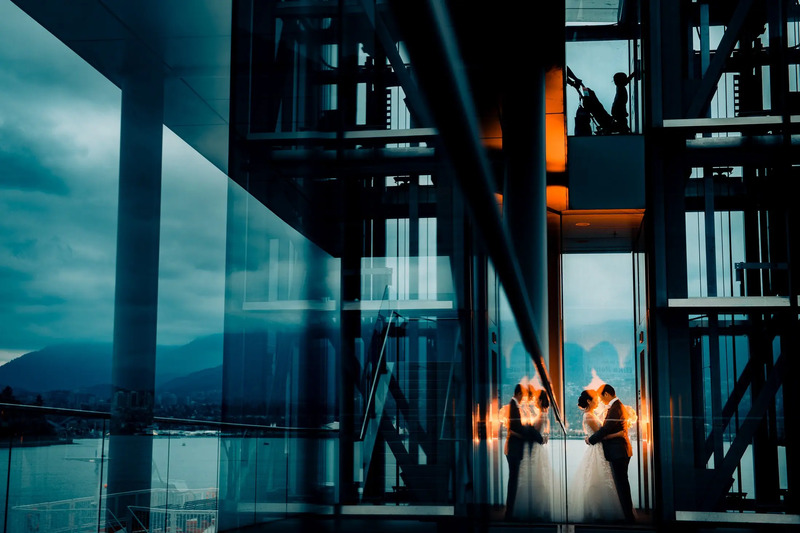 Diani and Adrian really liked the grass roof feature in Coal Harbour, along with the architecture that surrounds the area, so we just walked around and used locations that inspired us and came up with fun ways to use the architecture, reflections and our lighting in new ways. 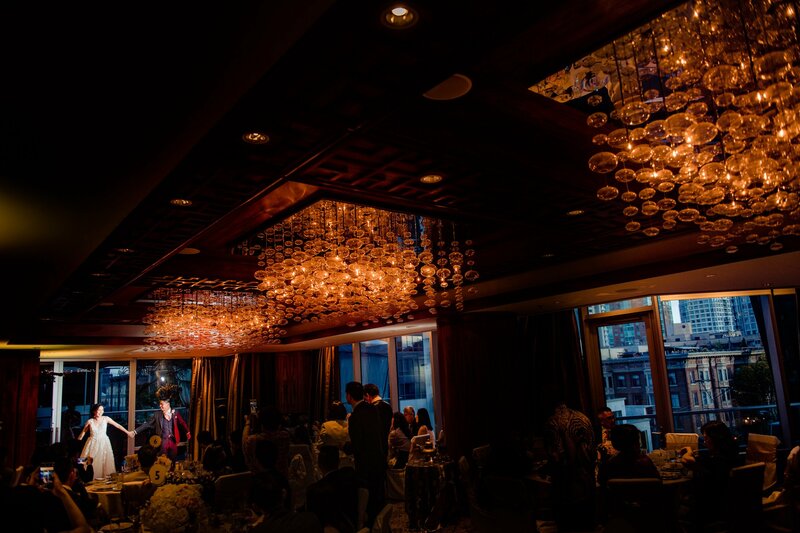 It was a fun day full of great events and people! 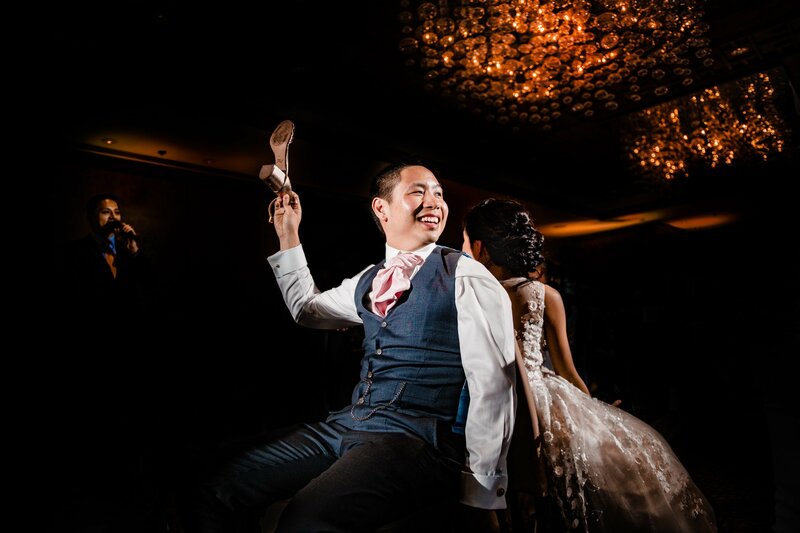 Thank you Diani and Adrian for choosing us as your photographers to capture such a special moment for you two! 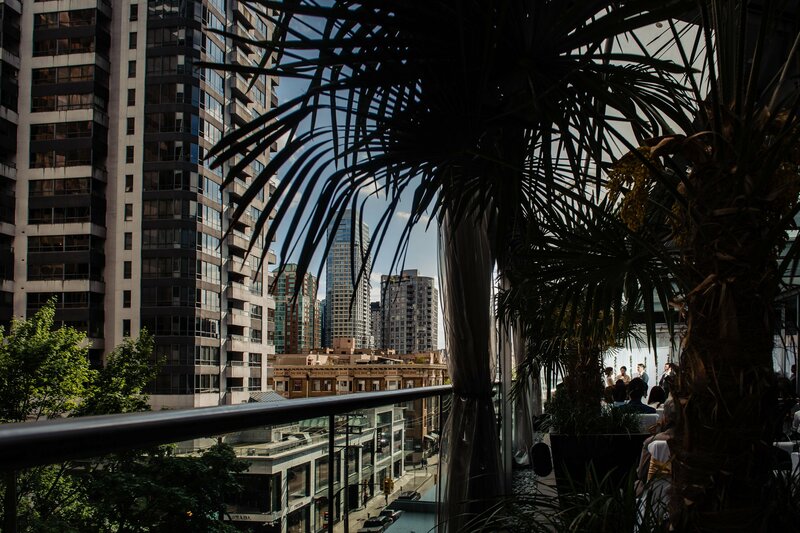 Coal Harbour always has great lines to work with.